The Magnum Energy MS4024PAE 4kW Off-Grid Inverter/Charger from Magnum Energy is a pure sine wave inverter designed specifically for the most demanding renewable energy applications. The MS-PAE Series is powerful, easy-to-use, and best of all, cost effective. The MS-PAE inverters are stackable — multiple inverter/chargers can be combined for increased output making it suitable for small and large power requirements. 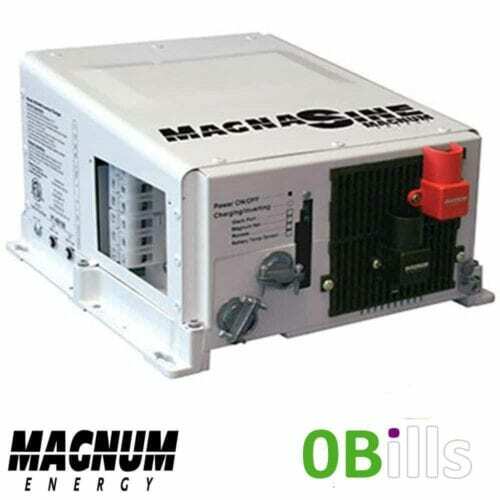 This is one of our most popular inverter for off-grid cabins, homes and battery backup systems. MS-PAE inverter/chargers include a 3 year warranty which is extended up to 5 years when installed on a Magnum panel enclosure. Until 2006, the USA company was called Texas Instruments Sensors & Controls. Today the company is the the world’s leading supplier of sensors and controls across a broad range of markets and applications. From integrated manufacturing to stateof-the-art environmental practices and a full spectrum of technical and analytical services, Sensata Technologies remains committed to helping its customers find leading-edge technology solutions to meet today’s market needs. Join our ZERO Home Bills Community. The best Off-Grid Solar Inverter / Chargers at best retail prices for ZERO Home Bills on ZEROhomebills.com by Solaranna. Until 2006, the USA company was called Texas Instruments Sensors & Controls. Today the company is the the world’s leading supplier of sensors and controls across a broad range of markets and applications. From integrated manufacturing to stateof-the-art environmental practices and a full spectrum of technical and analytical services, Sensata Technologies remains committed to helping its customers find leading-edge technology solutions to meet today’s market needs.. Join our ZERO Home Bills Community. The best Off-Grid Solar Inverter / Chargers at best retail prices for ZERO Home Bills on ZEROhomebills.com by Solaranna.